She's Fantastic: Speed Racer the Movie - TRIXIE! Trixie comes with a helicopter (which doesn't look like either the cartoon or movie version) and a bizarre oversized missile-launching accessory. 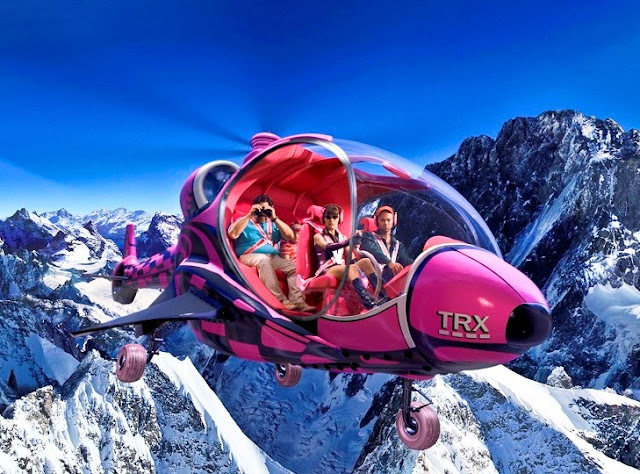 Trixie can't really fit in her helicopter. If she were a 2.5" figure like I wrongly assumed, she would fit fine. But as-is, she's going to get a haircut from that blade. Here is Trixie with her pack-mate, Snake Oiler. 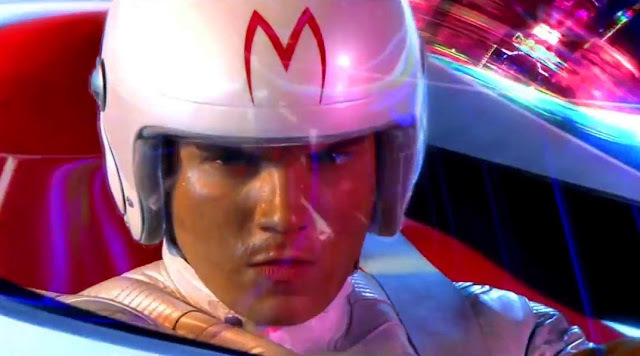 He is a classic nemesis of Speed Racer from the original cartoon. For scale reference, here she is with a 3.75" Jewel and a Wonder Woman Mighty Mini.